ALJO's very own Arturo O'Farrill will be a featured guest artist at select performances as Ballet Hispanico captivates audiences worldwide with its magnetic energy and eclectic choreography fusing Latino movement, music and traditions with classical and contemporary dance forms to create an experience in which theatricality and passion propel every move. 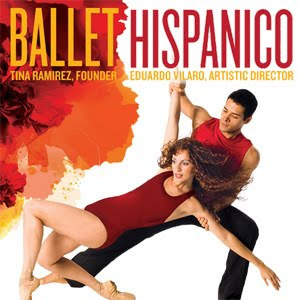 Under the new direction of Artistic Director, Eduardo Vilaro, the Company will premiere works by Andrea Miller, Annabelle Lopez Ochoa and a live music collaboration between choreographer Ron De Jesús and Latin Jazz sensation Oscar Hernández. Tickets start at $10.